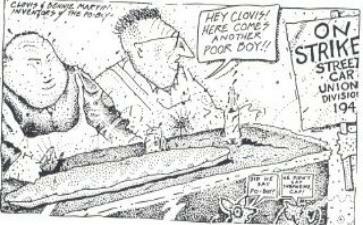 "Hey, Clovis, here comes another poor boy!!" Sign reads: "On strike, streetcar union division 194." many years, beginning in 1921. 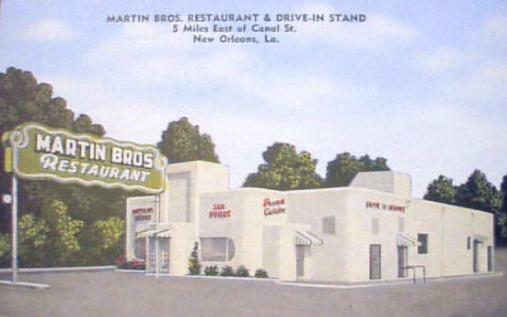 It was first located in the French Quarter and later moved to St.
Claude Avenue. 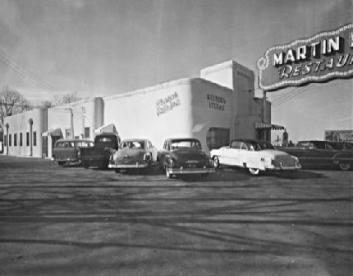 Darryl's father, Alex "Red" Martin," managed it until it closed in 1972.
that, it was made on bread the normal shape of French bread. 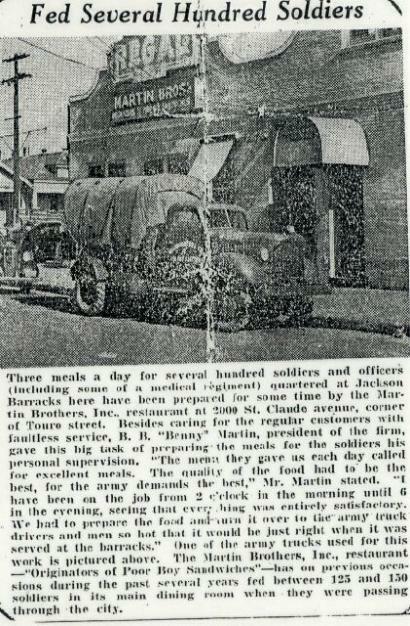 quartered at Jackson Barracks here have been prepared for some time by the Martin Brothers, Inc.
for excellent meals. 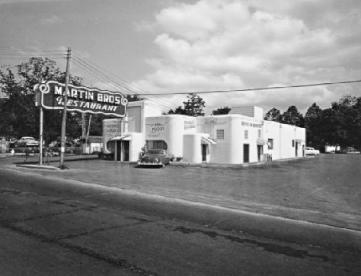 The quality of the food had to be the best, for the army demands the best," Mr.
soldiers in its main dining room when they were passing through the city." 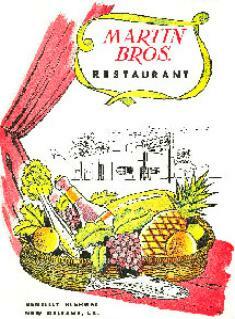 Brothers for good things to eat." union members, division 194, New Orleans, August 6, 1929. 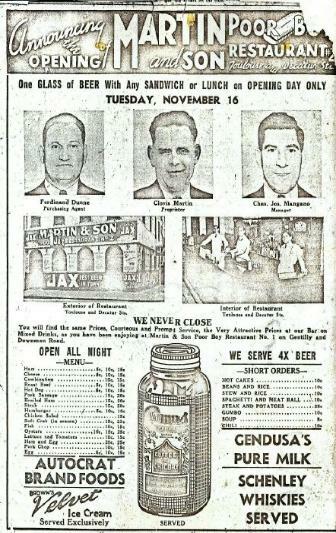 Clovis Martin, Proprieter, Charles Mangano, Manager, Ferdinand Dunne, Purchasing Agent. prices back! 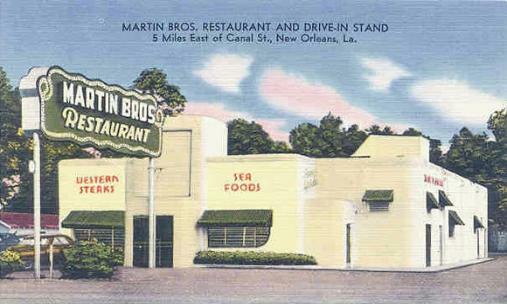 Thanks to Darryl Martin for sharing the menu; it was courtesy of Michael B. Lynch.